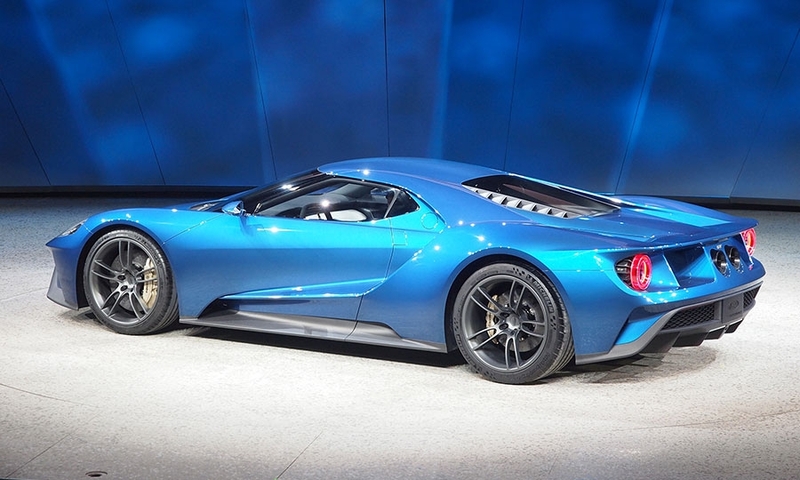 The Ford GT was introduced five months ago at the Detroit auto show. We can’t remember any car that received more attention in the following weeks. 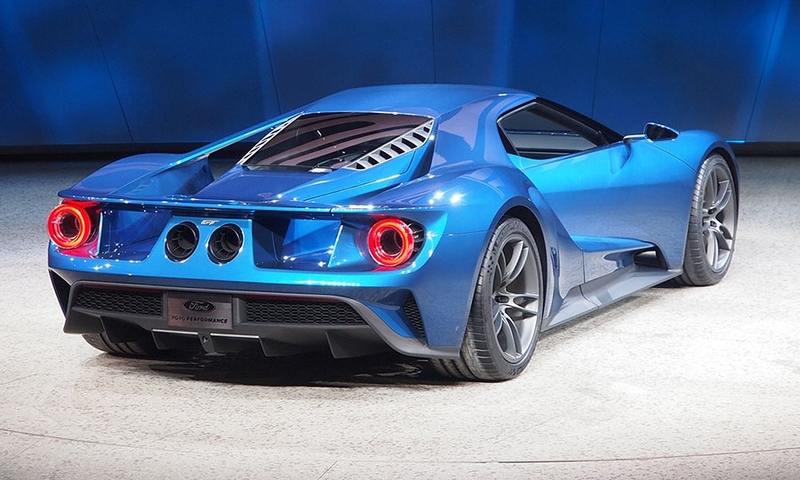 Ford is trying to keep that momentum strong until the GT goes sale next year, lest we have an Acura NSX situation where we see the car dozens of times before getting behind the wheel. 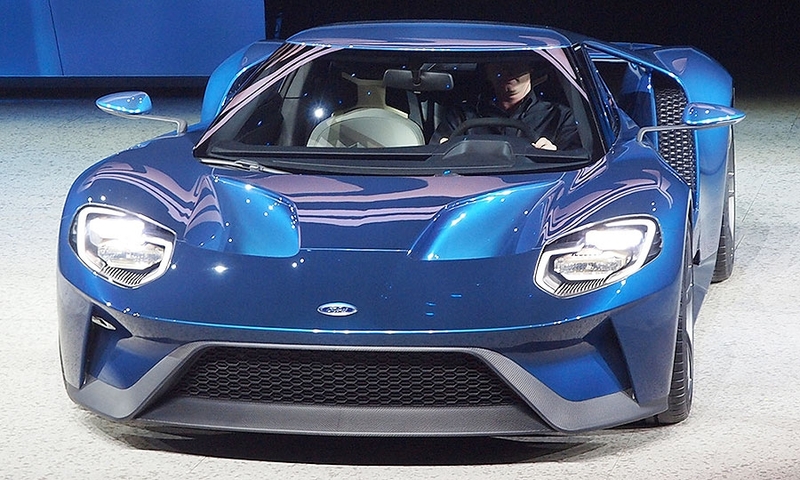 To keep our attention, Ford invited a group of journalists to its headquarters in Dearborn, Mich., for a better look at the science, engineering and design behind the GT. The GT has 50 sensors to gather data about the car's performance, the driver's position and the environment. It has six controller area networks, which process 300 megabytes of data per second. 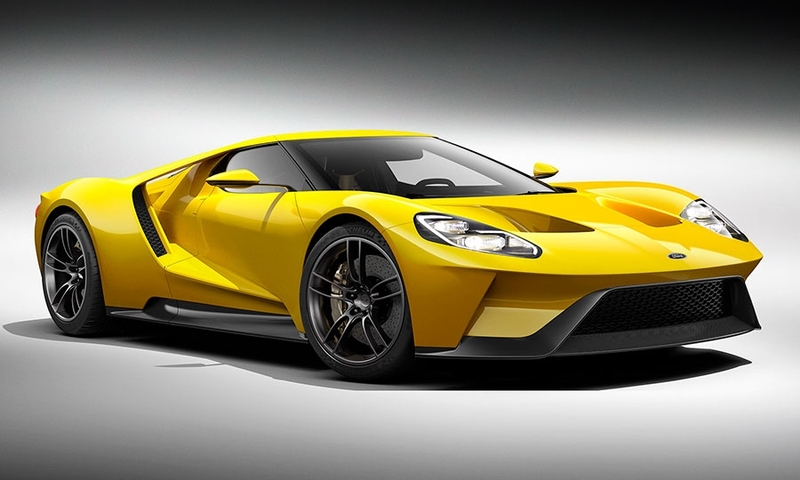 The GT uses 10 million lines of code, that is more than a passenger jet and more than an F-35 fighter plane. According to Ford “they’re all mission critical.” We’ve haven’t decided yet if that’s good or bad. 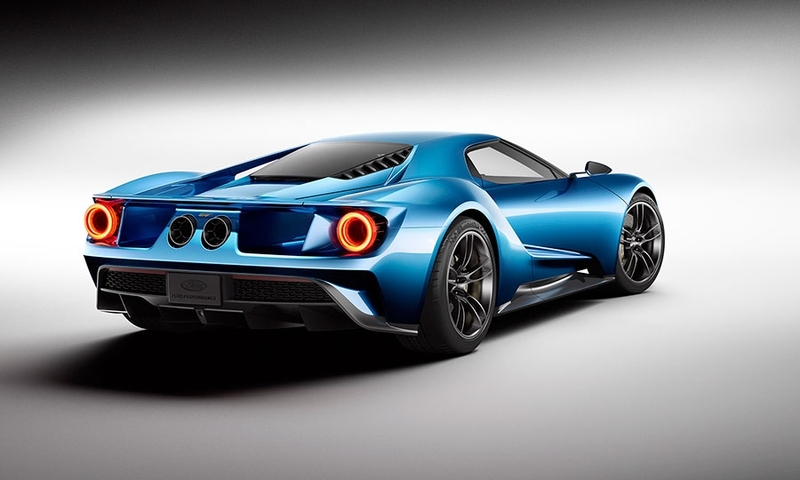 The Blue Oval did a ton of work understanding the psychology of the driver during development of the GT and found that driving performance follows a bell curve that relates to distractions. It makes sense, too. If your brain’s workload is too low you can get bored and/or fatigued. If the workload is too high, performance drops as well. 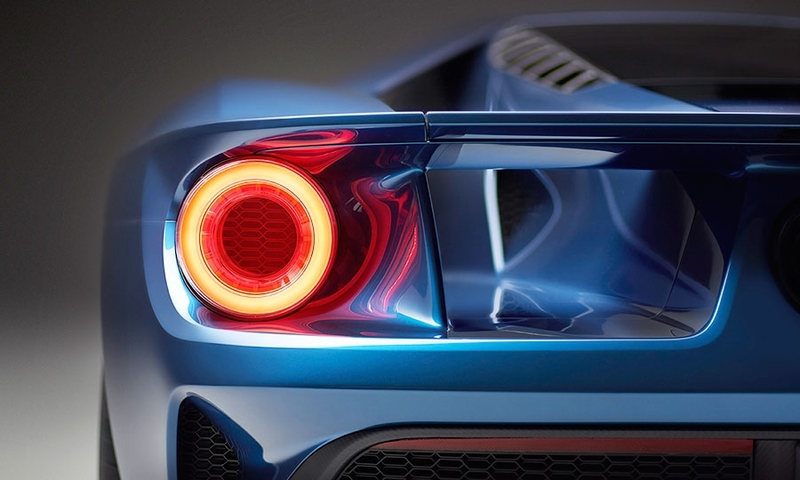 That’s why Ford wanted to keep visual demand low, so drivers keep their eyes on the road. 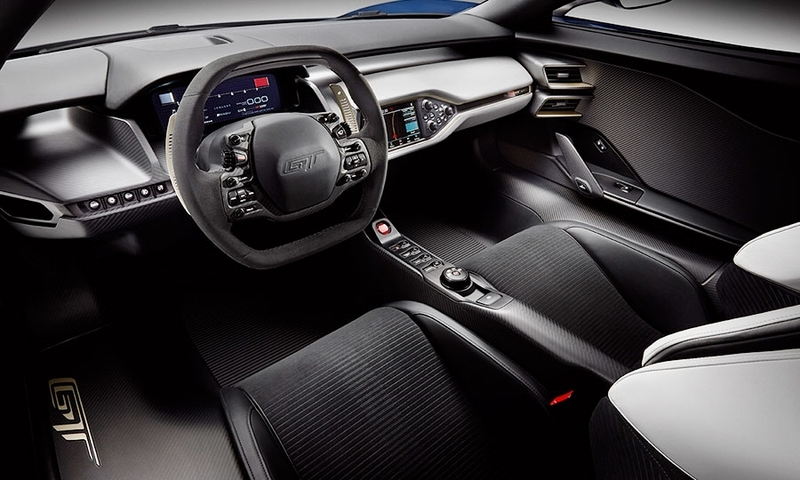 One part of that is voice control, which Ford seems to think it has figured out with its Sync system. As for design, Ford invited us to the famous basement where the GT was secretly developed. The room was full of foam and clay models, drawings and milling tools used to craft the sleek, flying-buttressed body. 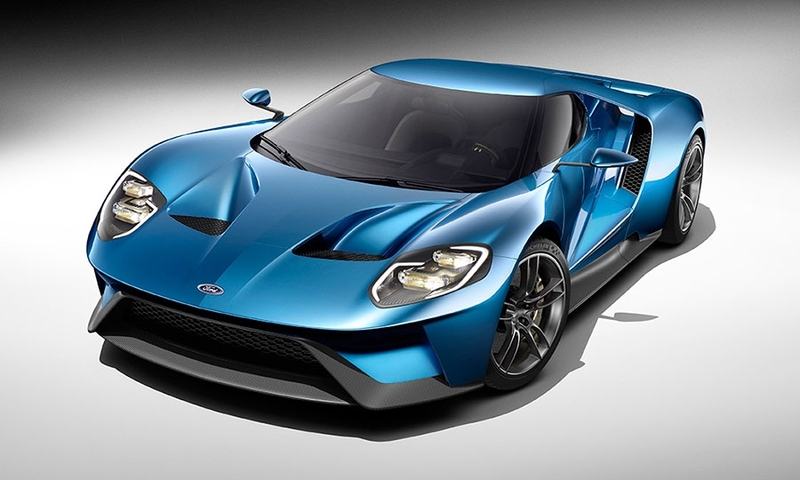 Ford wanted three things from designers: that the car be instantly recognizable as a GT; that it evoke performance and efficiency; and that it have a modern but seductive look. We have to say the designers succeeded on all accounts. 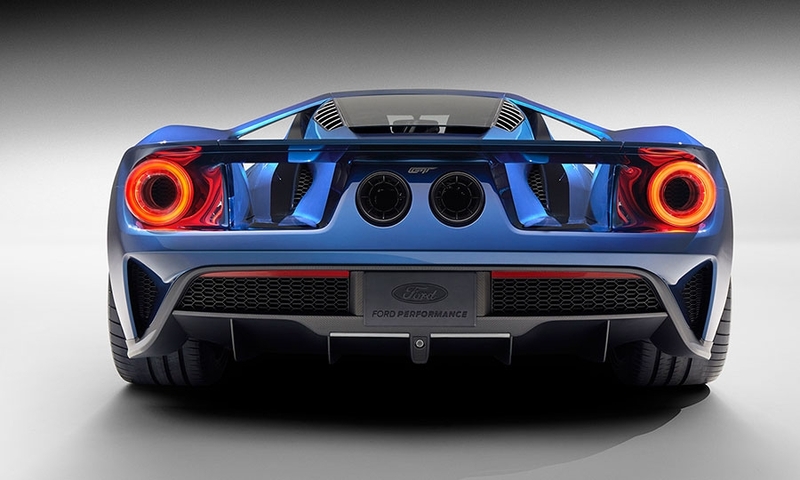 It was the EcoBoost V-6’s small packaging that made the shape work. 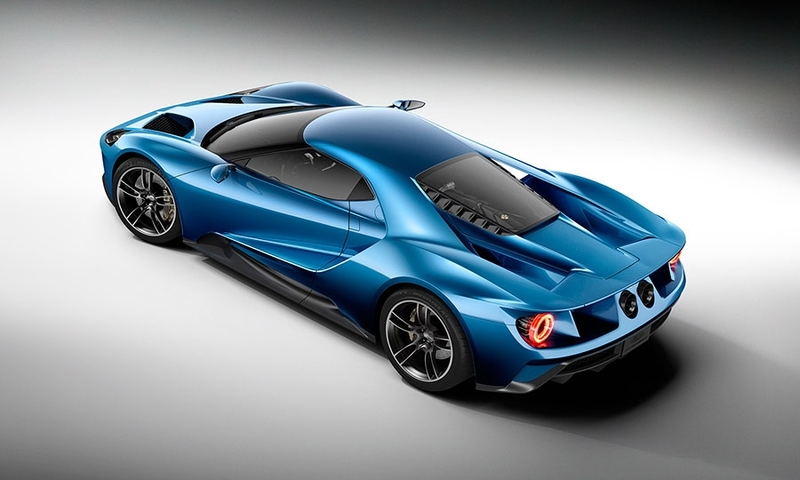 Ford kept putting the car through the virtual wind tunnel and found that the narrower the rear greenhouse, the better the aerodynamics, hence the buttresses. 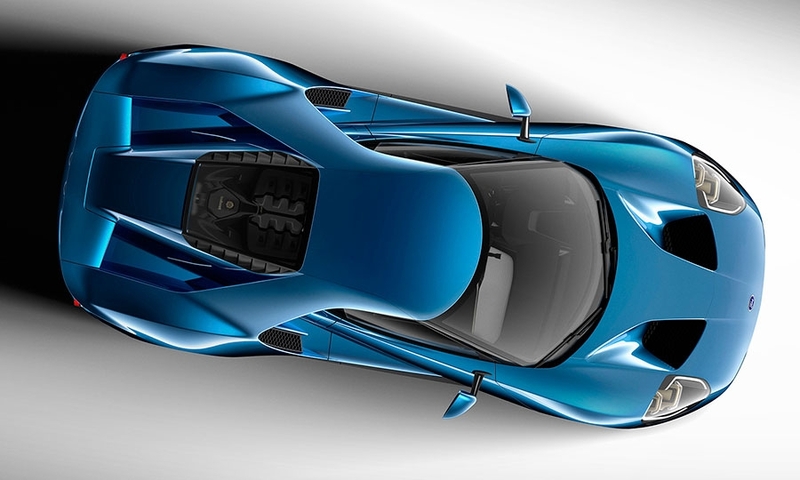 There are no low-pressure zones, says Ford, so air sticks to the body as it flows around it. Ford was coy when a reporter asked about a Le Mans effort, saying that the company hasn’t officially said anything about the 24-hour race, forcing sideways glances from journalists who expect the car to appear at the 50th anniversary of Ford’s famous win.